Fr. Dan Joe nominated as one of the "Unsung Heroes". Fr. 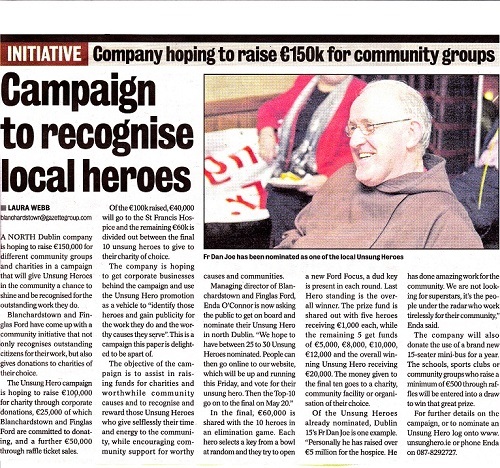 Dan Joe was featured in the Castleknock Gazette as he was nominated as one of the "Unsung Heroes".